Year One and Year Two students of Vuci Methodist Primary School from Nausori yesterday visited the Fiji Sun head office in Walu Bay, Suva. The students, parents, guardians and teachers who accompanied the touring party were briefed on how a daily newspaper was produced. Not only did they meet some of the reporters they also saw the large press machine that prints the daily newspaper. School teacher Litiana Puamau said the visit to Fiji Sun was an exciting learning adventure for the teachers and the students. “We teach our students in school to read and since we receive copies of the Fiji Sun newspapers, our students have gained knowledge of a lot of events taking place around them,” she said. “With that it is only fitting to bring the students to the head office so they can see how the newspapers are produced,” she said. “We only hear about the Fiji Sun newspaper and read it but have never seen where the newspapers were produced. Being here today is just exciting and a great learning experience for all of us,” she said. Year One student Angeline Deborah Lal said she was happy to visit Fiji Sun office. “I will go home and tell my parents that I met a few people who write on this newspaper,” she said. At the end of the tour, the Fiji Sun staff provided the touring party with Rewa Galaxy refreshments. 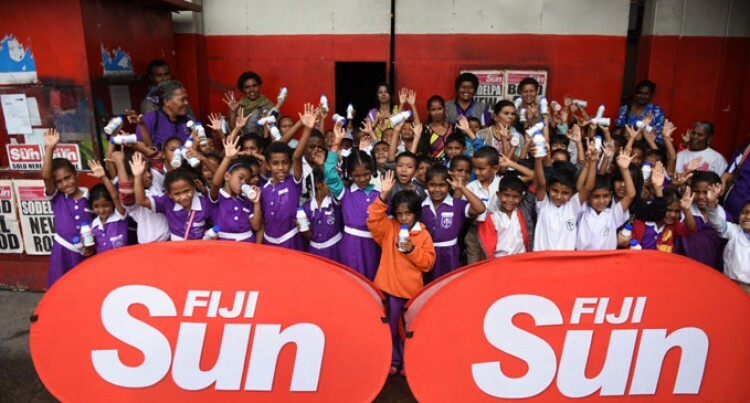 On Wednesday, a group of Year Three and Four students of the school also visited the Fiji Sun office.